For best deals contact us for site visit! No brokerage! Call us for best deals!! 22 Dhuleav, a premium residential development is located in Parel, Mumbai South. The project has a thoughtful design and is equipped with basic amenities and Facilities the needs of potential homebuyers. Parel or Lower Parel is situated in the southern zone of Mumbai and is emerging as a hotspot for ultra-luxury housing properties. Lower Parel is considered to be one of the fastest developing neighborhoods in the world and this acclamation has resulted in the growth of its luxury residential realty market thereby, making it as one of the posh localities of Mumbai. This plush locality is an eye candy for many of the world class property developers because they are getting an opportunity to cater to the demand of many high-end buyers who wish to buy luxury residential in South Mumbai. Mumbai, the financial, commercial and entertainment capital of India is a dream city for many top notched developers and investors. The improved economic activities has favoured the city real estate sector leading to a development of many well-structured and technologically driven commercial and residential properties. With continuous improvement and growing fondness towards the city, many house seekers are preferring to invest in this profitable zone of India. 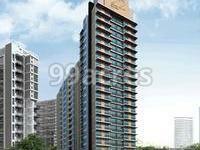 In which area is 22 Dhuleva located?The project is situated in Parel, Mumbai South. What apartment sizes are available in 22 Dhuleva? The project offers apartments sized between 467.0 sqft and 887.0 sqft. What is the area of 1 bhk in 22 Dhuleva? 1 BHK units in the project are available in a size of 467.0 sqft. What is total area of 2 bhk in 22 Dhuleva?  The area of 2BHK units in the project varies from 638.0 sqft to 695.0 sqft. How much is area of 3bhk in 22 Dhuleva? The size of 3BHK units in the project is 887.0 sqft. How much is the actual area of 22 Dhuleva?The area of the project is 0.32 Acres.